To order merchandise offline please mail, fax (309-888-2570), email or submit this form to Sandy Nash. When will you pick-up your order? 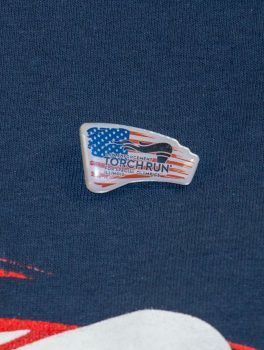 Departments are encouraged to order Torch Run merchandise to sell as part of this year's fundraising efforts. No cash is required up front when ordering merchandise. 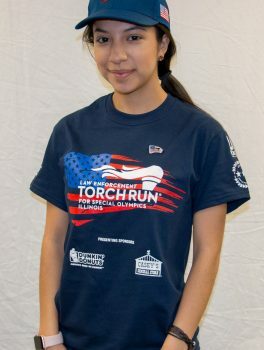 Special Olympics Illinois requires a minimum donation of $15 per T-shirt, $15 per hat and $5 per pin. 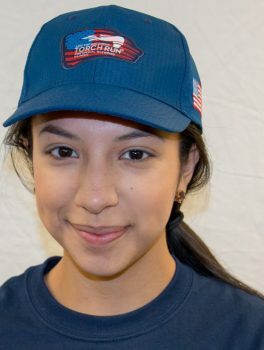 While there is no cost to your department when ordering merchandise there is a cost to our LETR program. Due to this, merchandise distribution will be tracked to help us avoid an excess inventory at the end of the year. If needed, departments may order additional merchandise throughout the year. Please enter the total number of t-shirts by size you would like to order below. We are currently sold out of 2XL shirts, please check with leg leader to see if they have any in stock.